Now this is something to read about. 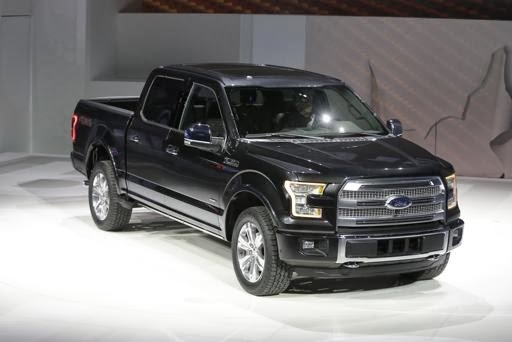 Ford Motor Company recently unveiled a brand new 2015 Ford F-150 built almost entirely out of aluminum! You’re correct when you assume that any other F-150 has been constructed out of complete steel. Now, why aluminum? Still out of the ordinary, aluminum has been used on vehicles before the first Ford F-series models began selling in 1948. Aluminum is a much lighter material, removing around 700 pounds off the original steel model. A lighter frame made of aluminum is Ford’s move to switch beyond the traditional steel heavy-duty truck. Customers and small business owners sometimes prefer a more fuel-efficient truck, spending less money on fuel-efficient vehicles and this is the answer. The 2015 Ford F-150 is 97% aluminum. That’s never been done before! The F-150 and F-250 Ford truck series are top-sellers in the automotive market. Ford even sold an F-Series truck every 41 seconds last year. 41 seconds! For two years, Ford gave aluminum prototype F-150’s to three different mining, construction and power companies without revealing they weren’t made of steel. Guess what happened? The companies couldn’t even tell the difference. This might just completely revolutionize the way heavy-duty “Built Ford Tough” trucks will be manufactured. Keep an eye out for the 2015 F-150 going on sale later this year at the Uftring Automall in East Peoria. What are your thoughts on steel vs. aluminum?